Over the years we at Tower Hamlets Cleaners have built a reputation for service excellence. That reputation is due in large part to our professional and dedicated cleaners all of whom are covered by full public liability insurance to protect against any injuries or accidental property damage. All of our cleaners are very carefully recruited as we appoint staff on the basis of their work experience, reliable recommendations and their skills. The first step in the recruitment process is a rigorous interview. This is then followed by reference checks, a security check and several tests designed to assess attributes and characteristics. This process ensures that we only employ individuals who are qualified, reliable, dedicated, are enthusiastic and who will provide a courteous, discreet and professional service to our customers. Following recruitment, all our cleaners undergo a rigorous in-house training program. This program further insures that our cleaners are proficient in the necessary skills and that they are aware of all the relevant Health and Safety issues. Our professional cleaners can be relied on to be punctual and to work to consistently high standards. All of our cleaners are entirely trustworthy and will treat your homes, offices and belongings with respect and care. Once on site, our staff can be relied on to work quickly and efficiently in order to minimise disruptions. We know that our cleaners have done a truly professional job when they have been in your home or office and left it spotlessly clean without you being aware that they were even there. Discuss your cleaning needs with our cleaners and we will modify our cleaning services as well as our cleaning prices to suit your needs and budgets. 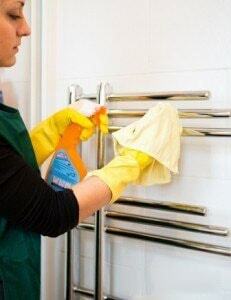 Call our cleaning company today on 020 3322 7907.